Lola's Cottage is a two storey one bedroom residence with high quality accommodation.Light and airy rooms, large sitting room with solid oak floor overlooking the patio garden, television with built in DVD, Radio, good wifi, The spacious integral kitchen, has electric cooker, microwave ,washing machine.Stairway to The King size bedroom, en suite shower room.Heating by wall mounted electric radiators. Im a fit senior citizen, young at heart, with a wicked sense of humour. I love listening to music, dancing ,tennis, Playing Bridge, and socialising with my many friends. I have two grown up sons ,and three adorable grandchildren. This charming newly refurbished holiday cottage is quietly situated down a private road just off the main Broadway Upper High Street. Surrounded by fields and trees, Lola's Cottage is a perfect base to explore the beautiful Cotswold countryside. Broadway, with its lovely shops, pubs and restaurants is just a five minute stroll away. Lola's Cottage has the benefits of being close to the main high street,but away from the bustle and traffic,with access to great walks.With plenty of parking. The large sunny living room,with integral kitchen,is tastefully decorated with country fabrics,,television/DVD player,Solid oak floor, French windows leading out to small patio garden, with table and chairs. Outside: Small Patio garden, with table chairs,and barbecue. Secure bicycle storage available. Cleaning / Towels / Linen / Maid service: Quality linen and towels provided.Maid service extra on request. What a lovely cottage and landlady! The pictures do not do this place justice - it is so much more lovelier in reality. There were some very thoughtful touches in the cottage; video films, cosy blankets, an iron, hairdryer. Perfect location to the High Street, Broadway Tower and other sights. As a vegan I was also spoilt for choice in the area too and even found a vegan afternoon tea! Thanks June for being so welcoming when we arrived. Beautiful cottage with lots of character and everything you would need for a very special stay. Lovely cottage in very special location with views over fields with sheep and lambs. June really special friendly host, very friendly but not intrusive. 20 mintutes or so walk into centre of village with lots of lovely places to eat and shop. Have already recommended to friends and hopefully will visit again. Thank you both for the lovely review.You were a joy to host. It's the 2nd time we have stayed at lola's cottage and again we loved it.we love the peace and quiet of where it is and its only a 10 minute stroll into Broadway.thank you June. Thank you for the lovely review, and also for leaving the cottages so tidy.You are always welcome, it was a pleasure. June made us very welcome. The cottage is comfortable and well equipped. It is close to the centre of Broadway and shops, and has good access to National Trust properties and good walking. 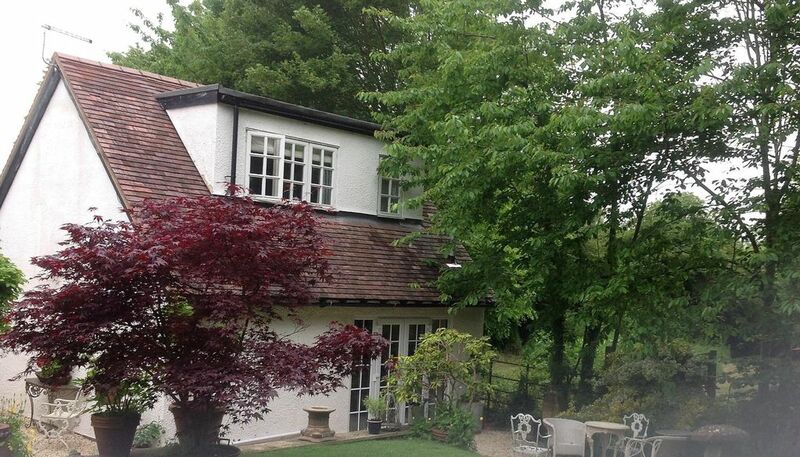 Great spacious cottage for two in a quiet setting with garden. June was very welcoming and available for assistance should we have needed it. A good base to explore Broadway and the surrounding countryside and the many attractions. Thank you for the lovely review.It was a pleasure to host you both. This is a very conveniently situated property. Very clean & bright with all you need for a comfortable stay. Thank you both,and a big thanks for leaving the cottage so tidy. Broadway is a short drive from, the lovely villages of Chipping Campden, Stowe on the Wold.Winchcombe,Bourton on the water,Stratford upon Avon,and Moreton in Marsh. Lola's cottage is a perfect base to explore the beautiful Cotswold countryside.Broadway with it's lovely shops,pubs and restaurants is just a five minute walk away. Booking Notes: Please contact owner. Changeover Day: Friday but can be flexible. Christmas and Cheltenham Festivals rates differ from the above set rates.